I am not a book club person, in fact, the thought of joining a book club produces fear; the idea of seeing the same people every month and having to deal with their idiosyncrasies is just too much for me. Three months ago, my friend asked if I had any suggestions for her book club. 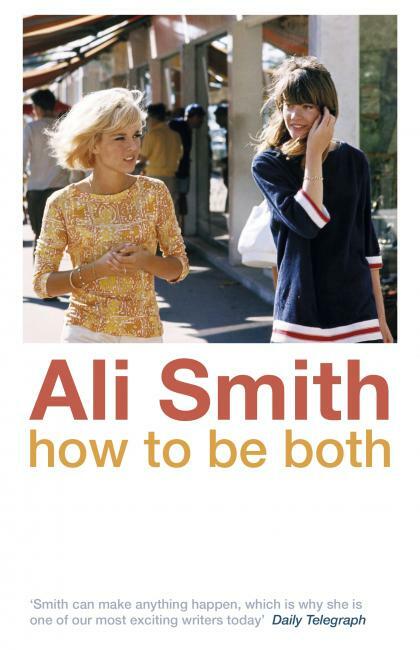 I immediately said Ali Smith’s How to be Both because it is by far the most brilliant novel I’ve read in the last year. Everyone in this book club resembled each other; they were all tall, blonde women between the ages of 29-34. Interestingly enough, I had expected there to be at least one man. My last book club was almost evenly split, there were four men and six women. There we were at Barnes & Noble with our various Starbucks beverage preparing to discuss How to be Both, but what I found surprising were the meticulous notes that everyone had taken. Pages and pages of notes on George and Francescho. They seemed truly taken with George. She is one of those characters that captures a reader’s interest; in fact George’s grief became the focus of our discussion. At some point one member pointed out George sitting in Room 55 of the National Gallery staring at del Cossa’s painting strongly reflects Smith’s theme of duality. The fluidity of time and gender was perhaps one of the most fascinating themes of Smith’s novel, it led to an brilliant discussion. Present day George and her mother could not decide whether Francescho was a man or a woman while the painter initially believes George to be a boy, these gender ambiguities are thought-provoking. We explored the connection between George and Francescho, how art transcends time and cultures; one benefit of being in a book club is seeing characters through the eyes of others. What we discovered was the depth these characters give to each other; George’s connection to del Cossa was interesting to explore with such differing views. But we all came to the conclusion that del Cossa’s frescoes held memories for George (the trip to Italy with her mother), we loved how Ali Smith drew the connection. My past experiences with book clubs have been less than positive, but this was different. I watched as they fell in love with Ali Smith’s book, I imagine this is just the beginning; they’re making plans to read There But For The and Artful. I wanted to tell them about War of the Encyclopaedists but they are bewitched with Ali Smith. Who can blame them?